Web design is an essential part of a company or organization's branding. Whether it's a storefront, or a corporate site, your internet presence should empower your business and drive it forward. 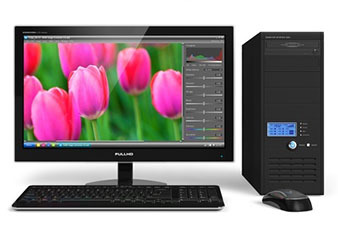 Quad Computing offers both online and print design services, from logo design to brochures. Your logo is an important part of your website. A strong brand image starts with a logo. Your logo helps your clients identify your business or organization. It must have a timelessness that allows it to continue to be effective as your organization grows and evolves. A logo is the foundation of a company's branding and should be included on every piece of web and print design created to represent your business or organization. 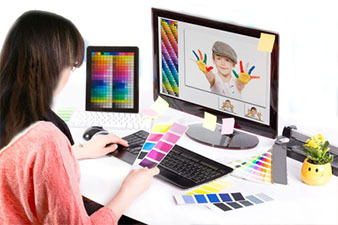 Your website design may intially be base on the colors in your logo. Ideally, you will have a series of files from a graphic's art firm containing your logo. Some file types might include .ai .eps .pds .png and .jpg. If you don't have a digital file, we can scan your logo from printed materials such as your letterhead. We can also help you develop a logo. We make your website stand out by providing the right combination of graphics, digital images, logo branding. Strategically placing them on your website to draw the visitor's attention. On location photography and Photoshop editing services are available. Our media services include the ability to create and edit website video, add music, and produce multimedia galleries from a combination of video and still photos. Professional stock photos available through our affiliate stock image accounts when we need to find just the right image for each page on your website. In	addition to	providing websites that work, we can also create coordinating printed materials such as brochures, business cards, menus, flyers, postcards, coupons, and more. We will work with your graphic design firm or prepare the graphics for a variety of marketing materials. You can then send these print ready graphics to your promotional materials supplier or use ours (call Select Specialty and ask for Jeannie Noll). Website Designer / Graphics ~ Located in Maryland, specializing in creative, professional website design.